Kim Malmquist (born I Seoul, Korea 1963) is a Swedish composer, pianist and conductor. He received classical training at the Sibelius Academy (1991-1993) for professor Jorma Panula and at the music conservatory Ecole Normale de Musique de Paris Alfred Cortot for professor Dominique Rouits (1995-1997). He also studied orchestration for Arne Mellnäs and composition at Gotlands Tonsättarskola for Sven David Sandström and Henrik Strindberg. Kim Malmquist’s music include compositions for solo piano, chamber music and symphony orchestra. He has written music for the theatre and composed film scores. Several of his pieces have been broadcasted on National Swedish Radio and Television. 2012 he composed the score for the internationally awarded Swedish short film Reset. Kim Malmquist has also released a number of solo albums for piano, that have been appreciated all over the world: The Magic Theatre (2009), Fragile Water (2007), Luminessence (2011) and Earth memories (2017). His piano music has gained international attention and has been performed live in several countries. Fragile Water was performed in New York (2011) and in Paris (2011) by the Swedish pianist Marie Carlsson. Fragile Water was also performed at the Samsung Gala in Seoul (2012) by Kim Malmquist. Music from the same album was used for the ballet Of one eighty performed at California State University, Long Beach Department of Dance (2010). Light reflecting on a window from the album Luminessence was used by the American Choreographer Emery Lecrone for her dance performance Untitled transient. The world premiere was in Manhattan Movement and Arts centre in New York. It was performed by the dancer Max Van Der Starre from the New York City Ballet (2011). Big Band Match Kim Malmquist! 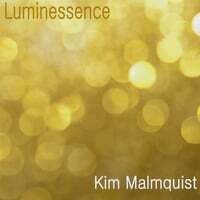 Highly gifted pianist, composer, and conductor, Kim Malmquist, releases an exquisite collection of beautiful instrumental Classical piano music on his recent album, “Luminessence.” This album captures the essence of nature and light as Malmquist performs his songs with soothing intonations. Even the song titles lets one visualize how the power of light can stimulate the mind and body. The first track, “Light reflecting on a window,” is delicate and dreamy as the melodic piano gracefully swirls across the keys with a silky fashion. “Echos of a memory,” is a song that flows with passion and soulful spirit. The song, “Remembering a moondream,” stimulates meditative ambiance as the melody takes you away to a place where you will be absorbed with reflective sensations. “Luminessence,” is a superb album that will liberate your inner tranquility and is an album you will truly enjoy. This new album is a beautiful collection of calm and meditative piano pieces reflecting the innermost nature of light. Listening to this music takes you on a spiritual journey accompanied by the soft, poetic sound of the piano.